Congratulations, you have just found one of the finest Executive Résumé Writers/Certified Professional Résumé Writers in Dallas Texas and the Nation. My résumé writing service delivers real results, long-term dividends and sky-high return on investment. Best of all, I have the independent third-party evidence to prove my expertise (see FAQs Page) as well as many résumé writing samples (including my own) for you to review. I say that because there sure is plenty of hype on the Internet and I know you need the best résumé writing help available. As a veteran Executive Résumé Writer/Editor, I focus most on all types of high-income earners, managers and executives, but I still serve most new college graduates and professionals too. If you want to advance your career, earn more money and get hired quick, I'm the only one you want. 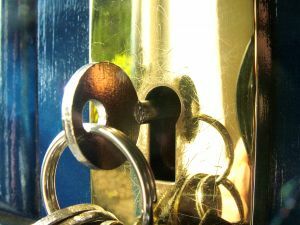 I can do much more for you because I know how to unlock your true value. There are very few Certified High-Performance Résumé Writers out there like me. You should know that cheap and fast typists and résumé builders are counter productive because results matter and missed opportunities will cost you months of lost wages. My FAQ page here has all the evidence you need to know that I am a genuine Executive Résumé Writer/High-Performance Résumé Writer. High-Performan﻿ce Résumés is not just a name, it is my mission statement. I am dedicated enough to create high return on investment résumés, cover letters and Linkedin profiles that will take you places and pay for themselves many times over. I am dedicated, intelligent and talented enough to make that happen as demonstrated by the résumé samples here for your review, which include my own. Because of the great results my clients routinely attain I am known from coast-to-coast in the US and Canada. I will help you earn a higher starting salary and multiple job offers since my focus on helping you find employment fast and building your value instead of completing typing assignments. All my clients benefit from an in-depth personal interview session because having the right information in your resume is absolutely essential. How on Earth can a résumé be convincing and compelling without the relevant information that an employer wants and needs? Your interview will be a great help in preparing you for real employment interviews and it is essential to create distinctive documents. As a Certified High-Performance Résumé Writer, I am uniquely able to help you achieve your individual career goals. The Fortune 500 hires my clients! Over the last five years, the vast majority of my clients in an active job search were hired in 90 days. You should know I was the #1 Ranked Résumé Writing Expert Nationally on Linkedin.com for five consecutive years from 2008 to 2/2013 beating out over all my professional colleagues annually. You will know why I am famous for producing ideal results when you hear my expert advice, read my game-changing job search eBook and see your new resume, cover letters and Linkedin profile! With over a decade of experience as a successful Hiring Manager and Recruiter, I know exactly what employers want to see in résumé and candidate. I know how to extract the vital info employers want in my investigative interview with you since I recruited and hired in Mortgage Banking/Finance, Advertising, Sales, Marketing and Specialty Retail. My entire 28 career has always been in the Sales and Marketing field as a Sales and Marketing Manager, Sales Consultant or Copywriter (aka Sales and Advertising Writer). This means I can sell you better on paper than anyone else can (100% essential). With all my experience as a Professional Copywriter/Editor (25) Hiring Manager/Recruiter (10+) and Résumé Writer (12), I already know how to solve all your biggest job search challenges. My clients' success is so important to me that I wrote a game-changing job search eBook designed to accelerate your job search, just so I could give it away to all my wonderful clients. This alone will easily save you six months of effort in your job search. My keyword research, selection and inclusion methods will help you earn significantly more interviews from the better employers that align with your goals (mission critical). I alone offer unique services and strategies thanks to seven trade secrets that I have developed or uncovered due to research and extensive experience. Obviously, these are top secret, so I cannot talk or write about them much although you will see the results. I focus on building your value throughout the résumé, so you will earn a higher salary (rare). Most people simply do not know or understand that every hiring manager has a discretionary starting salary range of 18-22% for most professionals. Notice that my affordable prices here are all less than 1% of your annual salary and benefits package. Now, that is serious value. During our interview, I often identify new lucrative areas of opportunity for my clients that they had not thought about previously. The interview is how I unlock your value and get to know you. Because I have hired hundreds of professionals over the years, I know exactly which questions to ask you so you can achieve your goals. A thorough personal interview is vital to your success. I am in business to make you a profit by writing High-Performance Résumés with a High Return on Investment (ROI). Your high ROI comes from earning a higher salary, earning employment in one-third the usual time versus existing on unemployment compensation, working for a better employer with better benefits, being able to advance your career to the next level and the stock options, expense accounts, retirement benefits and lucrative bonuses. Benefit from my 25 years of experience as a professional Copywriter, Editor and Proofreader (yes, I am a workaholic). Even if price were no concern very few can create compelling and convincing résumé content that actually motivates employers. Only here, will you receive High-Performance career documents that literally pay for themselves many times over. If you are smart enough to delegate your résumé to a genuine expert, do not to settle for less than a genuine High-Performance Résumé Writer. ﻿ Call me today at 469-540-0455 to set up an appointment (please email your resume to me first though, this way I can advise you and give you a proper quote - ddizoglio@gmail.com)﻿. 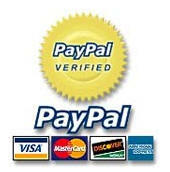 Yes, you can review all my credentials, evidence and writing samples on the Samples and FAQ pages. I have been serving clients nationwide since 2004 by phone, email and Internet. Office located in North Dallas, Texas. 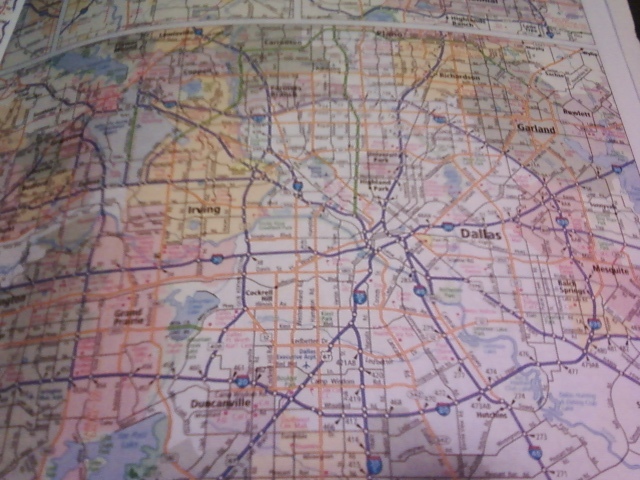 I am close to Addison, Carrollton, Farmers Branch, Coppell, Plano, Irving, Frisco and of course Dallas, Texas. 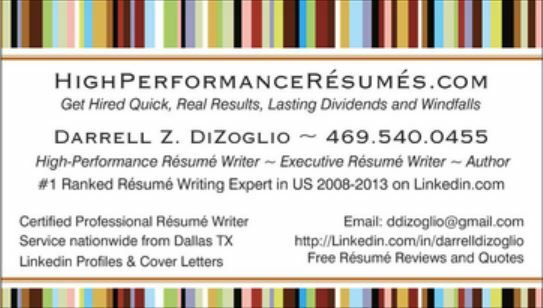 Darrell DiZoglio, Certified Professional Résumé Writer is located in Dallas Texas. REVIEW MY RESUME SAMPLES BECAUSE SEEING IS BELIEVING. I'M A CHRISTIAN SOLDER IN THE WAR ON POVERTY, DESPAIR AND UNEMPLOYMENT. HighPerformanceResumes.com is the GOLD standard. Chose the Best Resume Service in Dallas Texas and You Will Reap the Rewards for Years to Come. The Premier Executive Resume Service is located in North Dallas, Texas not too far from the Galleria. Okay, we are smack in the middle of the information age and some folks still do not get it. Well, someone has to have the brains and experience to tell you how to avoid months of unemployment, so pay attention. I hate to see professionals losing all their hope, faith and confidence, so please excuse me for being brutally honest here. Unemployment is financially and mentally draining. That is bad enough, but this also results in a sizable employment gap on your resume, which compounds the problem by making your résumé less attractive to employers. Therefore, we need to focus on how to have a productive job search. Clearly, that should always start with a job-winning résumé that caters to what hiring managers want. Myth 1: The most popular myth about résumés is that a résumé is just a type-written document, so I should shop for the cheapest priced resume service in town or online resume builder. Ha! Let's suppose you earn or want to earn a healthy income, who will help you earn the highest salary. land a job with a better company and get hired faster? Would it be the cheapest resume writer you can find or the best resume writer you can find? Would Google Search have 60 million search results for Resume Service if they could be replaced by cheap resume builder software/online resume builder software? Hiring a great Certified Professional Résumé Writer is an investment in your future success that will pay for itself many times over. Your new résumé is also reusable and tax deductible. Myth 2: The second most common myth about résumé and cover letters in 2015 is that anyone can and should write their own. No way, today every smart professional that earns a healthy income hires the best Certified Professional Résumé Writer they can because their family's livelihood depends on a consistent income. If that myth were true, 92% of all the résumés would not be dishwater weak, dull or merely average. Professional Résumé Writers are still thriving because the candidate (or the company) with the best marketing and advertising normally wins. Myth 3: The third most common myth about résumés and cover letters in 2015 is that merely average is good enough. Consider this: Your best competition is using professionally written résumés and cover letters already. How does your résumé compare when viewed side by side in comparison? (Here's a hint, if you are like most professionals you over look proper formatting, keywords/SEO, editing, proofreading, great content, effective selling and what hiring executives want to see in an ideal candidate.) The best way to answer this question is to email your current resume to a Certified Professional Resume Writer asking for a free resume review. Consider it a blessing (reality check) that will save you 6-12 months of wasted effort. Myth 4: The fourth most common myth, which still persists in 2015 is that the automated spell check will catch all the errors for me. Wrong! How can a spell checker know if your email address or mobile phone number is correct or not? Recently I saw "VP of Virtue Realty Entertainer Division" instead of VP of Virtual Reality Entertainment Division on an executive's resume right at the top. He used the spell checker alright (but selected poorly on the list of correctly spelled words) and those words are spelled correctly but it is a total failure as a job title. He didn't see it because he knew what he meant and the colored lines underneath that indicate errors were gone in Microsoft Word. So many errors such as logical, numerical, contact info and homonym errors are not caught with a spell checker. Homonyms are words that sound the same but are spelled differently (e.g. two or too and their, there or they're). Avoid fatal spelling, logic and grammar errors because they will cause employers and recruiters to give you the cold shoulder (yes, no calls/emails for interviews is rejection). Most professionals are blissfully unaware that automated spell checkers only catch 44% of errors in spelling, grammar and logic. When it comes to typing anything with numbers, industry jargon, abbreviations or medical terminology that percentage drops like a rock. Myth 5: The fifth most common myth is that résumé builders are helpful for those seeking careers that pay more than $35,000 annually. In reality, those heavily advertised automated résumé builders and cheap and fast typists only produce typewritten work histories or pathetically weak resumes. Unless you are looking for low-paying work with third-tier employers, I urge you to avoid them like the plague. Great résumé writers have never worked for peanuts and never will. Expect to invest in your future and cough up the dough it takes to create and develop a great résumé. Your résumé is the single most important document you own. Use your God-given intelligence and act accordingly. Yet another critical component of résumé writing in today's information age is search engine optimization and keyword density through keyword research and inclusion. It is no longer enough to submit a résumé and cover letter to an Internet website or an employer's database. It must come up in the advanced Boolean search results, otherwise no human eyeballs will ever get to read it. Your résumé must rank in the top five percent of the employer's database search results because otherwise you will be invisible. Consider when you search for something yourself using Google, Bing and Yahoo, who looks any further than the first page or second page of search results? I can assure you busy hiring managers do not. Today, you really have to earn the right to be hired more than ever because modern technology and the Internet makes it easier than ever for out of state job hunters to be hired. Fortunately, you can hire a great Certified Professional Résumé Writer, not a company or service because you want to know exactly who is writing and editing your résumé and what their credentials are. If you cannot sell yourself on paper, delegate the task to avoid the dreaded financial consequences. In this job market, selling and marketing yourself successfully on paper is a mission critical priority you just cannot ignore. Most professionals/executives are completely unaware of this fact. Did you even know that only the top five percent of resumes not candidates are selected for interviews? Logically, this means employers actually reject 95% of resumes submitted. Resume writing is a daunting challenge for nearly everyone, so delegate your resume, cover letter and Linkedin profile writing to the #1 Résumé Writing Expert in the Nation at http://HighPerformanceResumes.com. You will be so glad you did. Professional Résumé Writing Help is the Ideal Gift for all New College Grads! By Darrell DiZoglio, CPRW of http://HighPerformanceResumes.com Copyright 4/19/2015 all rights reserved. It is now six+ years after the stock markets hit rock bottom in the Financial Crisis and still 95% of all new graduates across the US are unable find the great paying work in their career field they wanted. Many will remain jobless. The lucky ones will remain working evenings and weekends in retail, restaurants, nightclubs or hotels until they are hired. However, today a 12-18 month job search is routine because there are three important steps where job hunters fail - Networking, Résumé Writing/Linkedin Profile Writing and Interviewing. 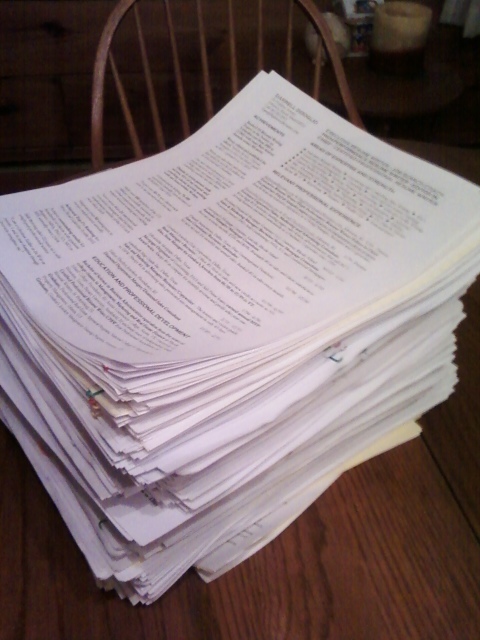 Résumé writing is the most challenging even for those with graduate degrees. This is because résumé writing is a multifaceted, nonfiction challenge that involves marketing, selling yourself, targeting, Search Engine Optimization (keyword research and insertion), desktop publishing (style), writing, editing and proofreading. Alas, it seems most dedicated professionals and students merely view writing, editing and proofreading as a means to complete another project, so an ordinary 75% effort will do. Wrong! 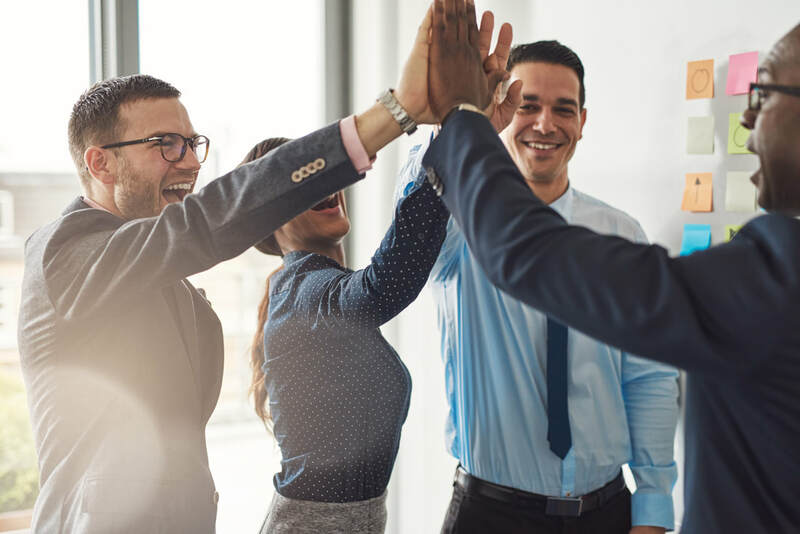 Today, great career opportunities with top employers are so rare that there are 17 well-qualified candidates for every career opportunity that pays over $50K annually. That means employers are only interested in the top 5% of all well-qualified candidates aka the high potentials. Thus, I can tell you from experience that a gift certificate from a Certified Professional Résumé Writer is definitely what most new college graduates truly need. Often, they do not even realize that their subpar to lackluster résumés, LinkedIn profiles and cover letters are weak/useless because they do not understand hiring from an employer's perspective. Nor do they have the experience in a job search and employers do not provide helpful feedback. Today, automated résumé searches done in databases no longer require traditional résumé screening by HR staff. 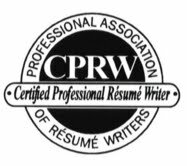 Fortunately, most Certified Professional Résumé Writers still provide free résumé reviews. Another challenge new college graduates face is that all hiring managers/executives/HR managers want candidates with industry specific experience. Thus, if a candidate has graduated with a Bachelor's degree, MS/MA or MBA recently, they can easily be bested in the race to be hired if they lack the relevant niche experience employers are looking for. Additionally, most new college graduates are young and unaware they are competing with 3500-5000 well-qualified candidates for each career opportunity. Smart folks know that hiring is diminished by outsourcing, robotics, off-shoring and automation, so employers are currently just as likely to lay off employees vs. hire. Finally, they face age discrimination from employers just like those over 55 do. This is well documented. The other serious concern is that new college graduates in a job search have virtually no clue that 95% of professionals that earn over $45K per year actually hire the best Certified Professional Résumé Writer they can find. So, the vast majority are blissfully unaware that when their merely ordinary résumé and Linkedin profile are compared side by side with their competition's professionally written career documents, all their weaknesses are instantly revealed. Even worse, they receive zero feedback from employers and often resort to using online résumé builders (pathetic and useless) in desperation. A gradual descent into months and months without interviews is the typical result without professional assistance. A gift certificate for résumé writing, Linkedin profile writing and cover letter writing services can and will change all that. When unemployment persists, the gut-wrenching pain of poverty is motivation enough to call a Certified Résumé Writer. But, why wait until they are suffering? Since young college graduates cannot identify where they need help the most in their job search by themselves, why not pave the way for their success right from the beginning? The reason that I know about their failures is that I am often the one they call after 12-24 months of failure. Thus, I am sure that anyone who recently graduated with a college degree would appreciate a gift certificate for expert résumé writing services. First, you are helping them avoid a serious financial struggle and second, there is the lasting and significant return on investment (their new annual salary, bonus and benefits package repeats year after year). Since quality résumé writing is never cheap, if necessary multiple family members can contribute to the résumé writing gift certificate. My advice is to ignore fast and cheap typists. Their cheap prices are an admission of what they themselves think of their work and how little time they plan to spend on your project. Great writers never work for peanuts. The vital distinction is that you want to achieve the desired results, not produce a weak type written work history. Therefore, you must seek out a genuine Certified Professional Résumé Writer and deal directly with them for superior quality, results and value. The good news is this gift will increase their confidence and benefit them financially for years to come. As a bonus, parents often find they can finally move out and pay for their own apartment too. To help your favorite new college graduate/s with a Gift Certificate for High-Performance Career Documents call me at 469.540.0455. My services page has all my affordable prices posted for your review. Remember, this is the gift that keeps on giving. Thank you.